Fuente: Suárez et al. (1989a), aparece como C. scitula.. Type locality: Island of Selsey, England (Womersley 1984: 206). 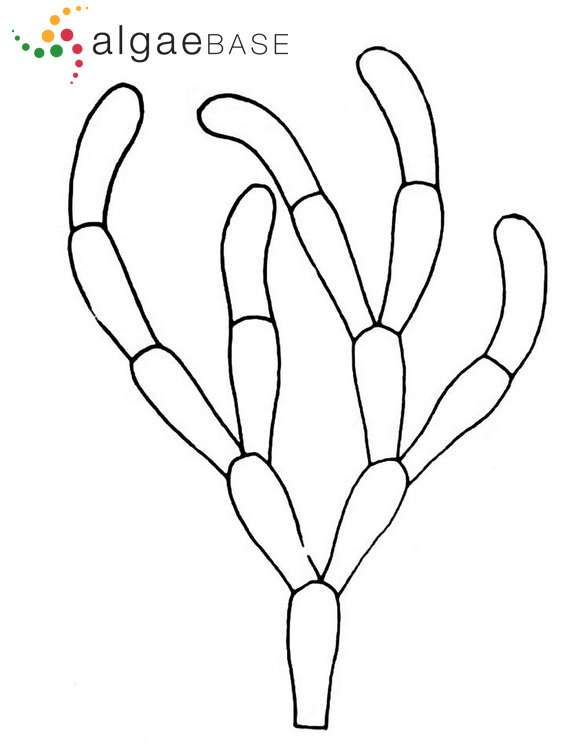 Type: Dillenius; OXF (Womersley 1984: 206). Notes: See van den Hoek 1963: 94. Stegenga & Mol (1983: 57) cite this species as Cladophora albida (Hudson) Kützing, van den Hoek (1963: 94) concurs with this, and cites Conferva albida Hudson (1778) as the basionym. Conferva albida Hudson is, however, a later homonym of Conferva albida Forsskål, q.v., and the earliest available valid name is Annulina albida Nees (see Silva et al. 1987: 97; Hoek & Chihara 2000: 123). John et al. (2004) note that, according to Hoek (1982), tropical records of Cladophora albida should more correctly be attributed to C. montagneana. Accesses: This record has been accessed by users 10324 times since it was created. Bakker, F.T., Olsen, J.L. & Stam, W.T. (1995). Evolution of nuclear rDNA ITS sequences in the Cladophora albida/sericea clade (Chlorophyta). Journal of Molecular Evolution 40: 640-651, 4 figs, 7 tables. Bakker, F.T., Olsen, J.L., Stam, W.T. & van den Hoek, C. (1992). Nuclear ribosomal DNA internal transcribed spacer regions (ITS1 and ITS2) define discrete biogeographic groups in Cladophora albida (Chlorophyta). Journal of Phycology 28: 839-845, 2 figs, 2 tables.